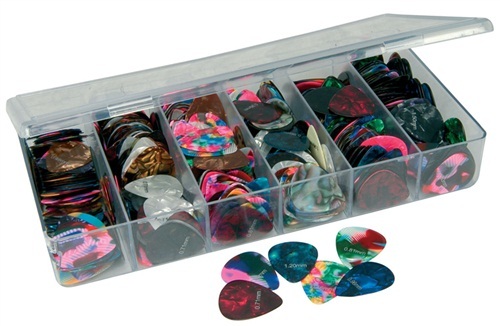 plectrums, also known as guitar picks. Various gauges from 0.46mm to 1.5mm in a classic teardrop shape. Each pick come in a wide range of colours and patterns.